Whether you’re hitting the trails, getting in a few miles after work or lining up for your next race, the Run+ Ultralight Micro Socks provide the optimal balance of comfort, and lightweight breathability. This sock’s technical fabric blend combines soft merino wool with nylon for durability and a touch of LYCRA® for active stretch and shape retention. 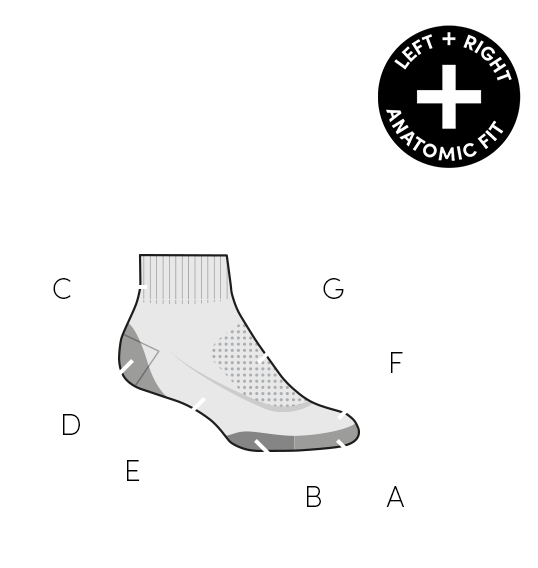 We also added our seamless toe closure to ward off blisters and strategic support and breathe zones to keep you comfortable mile after mile.